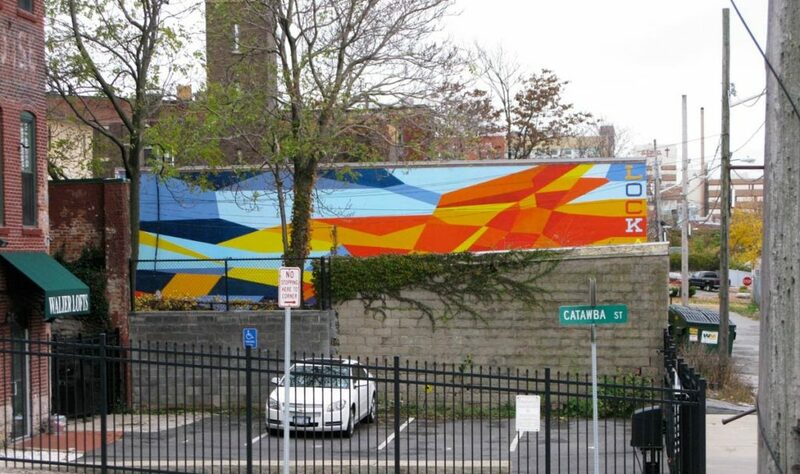 As part of our work in transforming public spaces through art, Echo has executed two large scale outdoor mural projects. 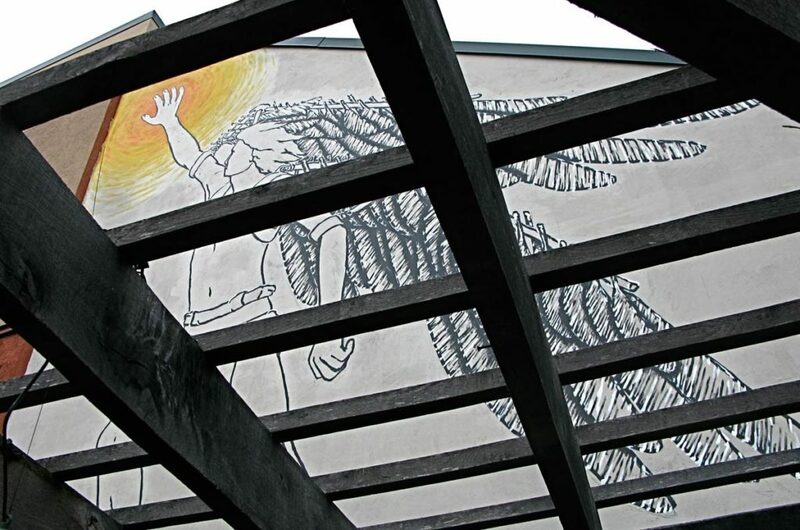 One of the murals, “Reach”, is located in a commercial courtyard on Westcott St. It shows mythical figure Daedalus, a creative inventor of tools and designer of the Minotaur’s labyrinth, reaching for the Sun, whose heat destroyed Daedalus’s son, Icarus, in an act of foolish ambition. 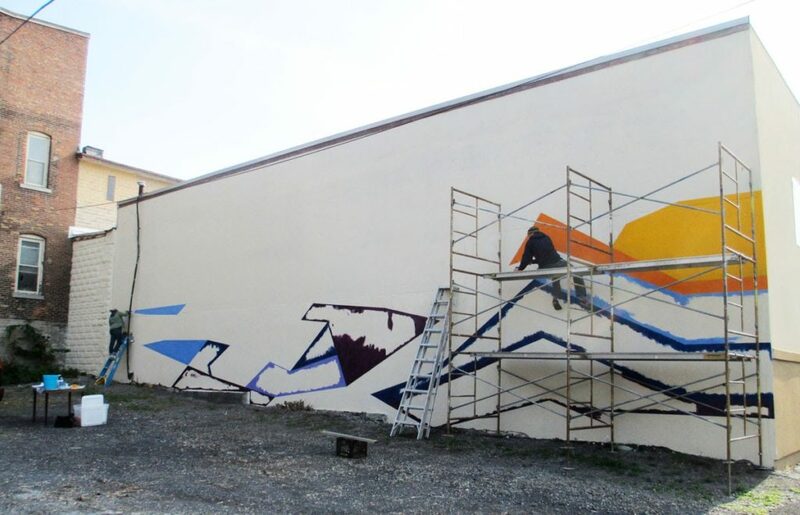 This mural calls for people to design, create, and make their world a fantastic place, while at the same time retaining their humility and wisdom to limits of possibility. 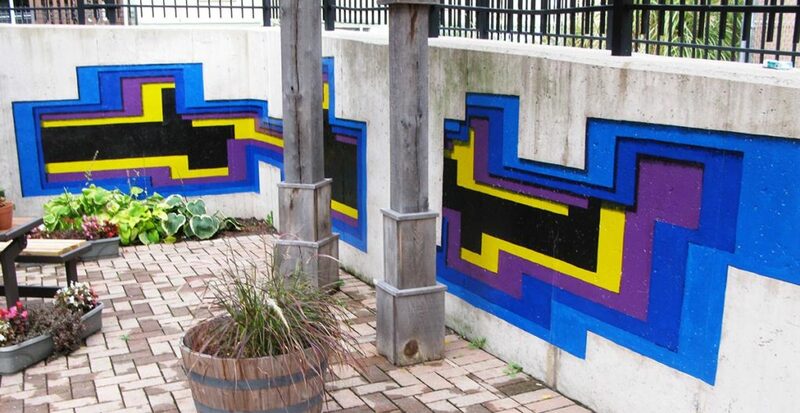 The design of lower section on the mural was inspired by the work of mural artist: 1010. 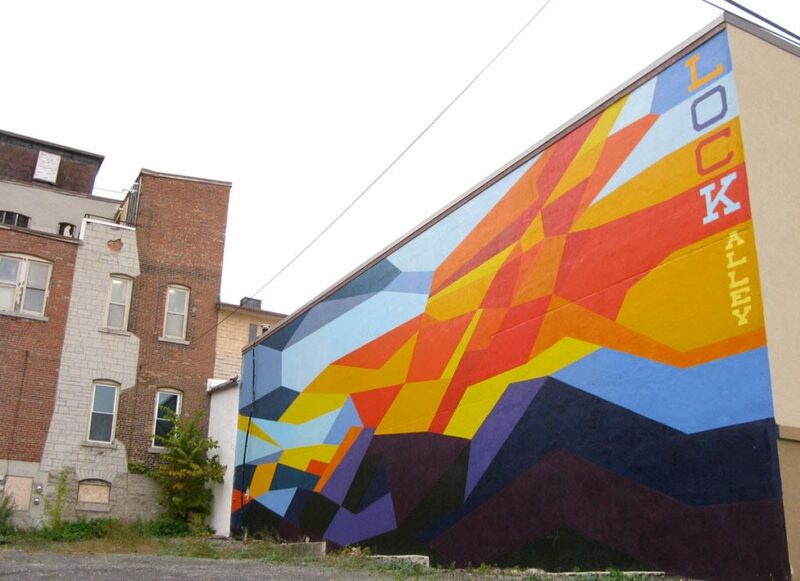 Another mural, “Lock Alley”, is located on the Northside of Syracuse. This design was inspired by the beautiful sunsets of the Northside and aims to provide a strong splash of color through all seasons of the year. The mural incorporates the words “LOCK ALLEY” to support the site identity and reflect the old painted signs along N. Salina St.